After the jogging session with my wife today, we stopped at the nice spot near the lake for a freshly squeezed orange juice to regain some energy. The inevitable routine is to check the app on my iPhone how running went. Not particularly well today. But the weather was perfect for a workout. Taking the moments of muscle relax, I grabbed the newspapers (so unusual act in the era of new mobile technology). Skimming through the pages, I stopped at the article writing about the company that was performing the polygraph testing (a lie detector) on its employees. The purpose of the testing was to check the employees’ loyalty and how much are they responsible in handling the company’s properties. The story happens in Croatia and the whole article can be found here. 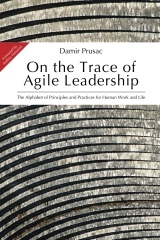 After the first shock (yeah, I was deeply surprised), I tried to analyse the leadership “performance” in this case and evaluate it with the values we promote in the agile community. Starting with LEGAL law – I surfed the net to find some sources. In some countries employer use of lie detector tests is limited by the Employee Polygraph Protection Act. It seems – not in this case. TRUST – more than obvious, trust was not built between the management and workers. And, to my understanding with a number of assumptions I could unfold, there is a strong CULTURE of control – typical for Taylorism in the beginning of the 20th century where high level of managerial control over employee work practices was existed. The command and control culture (see the post about culture) is usually leftover from manufacturing practices in the last century and inability of management to learn and consequently to engage and motivate people. TRANSPARENCY – if there is a need to check and control employees on polygraph, it means that the whole system is obscure, where information need to be extracted and verified in order to make decisions on a higher level. It further means, that there is a lack of transparency and obviousness which is a prerequisite for every successful and efficient process. Even further, it means that the HIRING process in the company is inconsistent, non-existing or wrong. Why would you hire incompetent people or people you don’t trust? So, the whole GOVERNANCE is suffering because of the bunch of wasteful management activities being focused on tracking people, instead of creating the environment of visual management. The good example of visual management origins from the concept of JIDOKA – which is sometimes called autonomation, i.e. automation with human touch/intelligence. It gives machines the ability to distinguish good parts from bad autonomously, without being monitored by human. This eliminates the need for people to continuously watch machines. 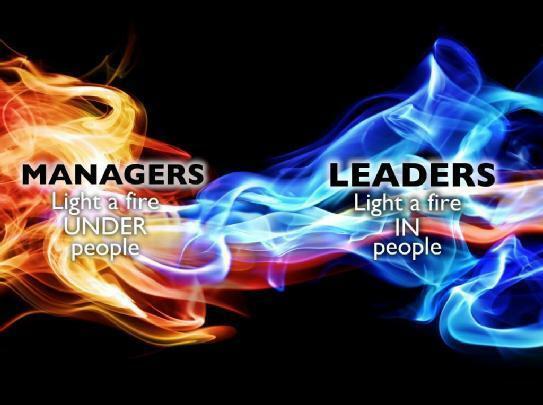 The same principle is valid for the relationship between management and employees. According to Daniel Pink and his great book “Drive: The Surprising Truth About What Motivates Us“, the things that creates MOTIVATION are purpose, autonomy, mastery. In this case, it seems that it was easier for management to INVEST a couple of thousand bucks into the polygraph machine, rather than build the high performing environment highlighting the real purpose, educating people and giving them empowerment to perform. It’s an investment shortcut… hm! The management should go to the polygraph test in this case, to check whether they care for the best company’s properties – people. No polygraph is needed to detect the lack of contemporary management practices and basics of human psychology to lead 21st century workplace. Have you heard about the saying – celebrate your failures? Perhaps we should have. We are supposed to learn from the failures. However, the first feeling when something goes wrong is not really an adorable desire to celebrate. It is rather embarrassment, shame and eventually frustration. Aubrey C. Daniels, the author of the book – “Performance Management: Changing Behaviors that drive Organizational Effectiveness” would describe the situation of blame and embarrassment as: “get something you don’t want” which is called punishment. I believe that most of us experienced it in our working life. Punishment is further described as a consequence that decreases the behavior. Please check the Empirical People Control post! 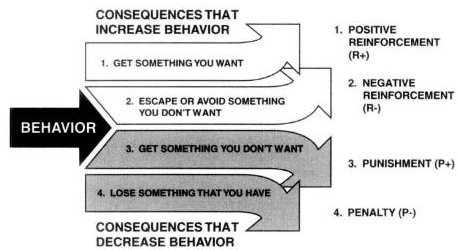 We may think and act, as a vast of organizations usually do, that punishment is good (“now you learned the lesson“) so the rules attached to the direct consequences are created – similar to the court laws. An interesting story I’ve heard from my colleague was about such a case in his company. During the evening hours he received a call about an emergency situation happening to one of the company’s most important customers, operating in the neighboring city. He started to support the operational personnel remotely over the cell phone, but it was not getting any better, so he was asked to urgently come to the site. While still on the phone, he asked his wife to call a taxi for him, since his car was damaged in the accident that morning. Taxi would be the fastest way to get there. Very soon he was heading towards customer premises still providing help guys over the cell phone. The failure in one of the communication modules caused some data loss and a very upset customer. It took him several hours to bring back the majority of data, establish all connections and stabilize the system. It was early morning when he just went straight to the office. He made an incident report and proposed the immediate SW patch to prevent similar cases in other places. Good work, highly appreciated by his boss. Case closed!? – Well, almost. The fear from the failure prevents great things to happen, decreases initiatives to experiment, to innovate and finally to improve. I am sure we don’t want that. As leaders we should use positive reinforcement to increase behaviors that add and stimulate a creation of business value, rather than rigidly applying general rules and directives. Environment that is not tolerant to failures, results in intimidation and blame which decrease creativity and innovation. So, let’s control failures with experimental approach, reflecting and learning from them. With Empirical Process Control our experience through iterative and incremental development helps us to adjust the activities and standard work to achieve better efficiency and predictability. We need to be careful if based on our experience we would create something like “Empirical People Control” where the experience without new learning is a burden for leaders (and all others around). Control is traditionally based on managers telling others what to do, monitoring it…and still frequently – telling how to do it. Some call it micromanagement. By doing so we don’t really appreciate and inspire people so that they capture why they should do what we tell and want them to do. So, they simply don’t do what they are told. Getting something you want is a positive reinforcement or a motivation to reach some wanted state. To my experience, even stronger motivation comes with the negative reinforcement when we try to escape from the evil – something we don’t want. Since we hate punishment and penalties, i.e. the things we lose or the things we don’t want, we try to reduce such behaviors. Our management thinking patterns and human resource processes should be a subject of constant adjustments towards building creative and positively reinforced people. What people do daily is what is being reinforced. Control of people does not contribute to the frequency of the behaviors imposed by it. On the other side a visual control that promotes transparency, easy access of information and obviousness as a consequences, creates trust and stimulate repetition of such behavior/practices. In the same pot we can put the servant leadership as explained in the Are You Trying to Tell Me I Should Serve? blog. So what do we reinforce tomorrow? – I hope that you already started thinking!